Two neighborhood residents attended a meeting last evening where the Bloomington Public Works Director spoke about the proposed changes to trash pickup. 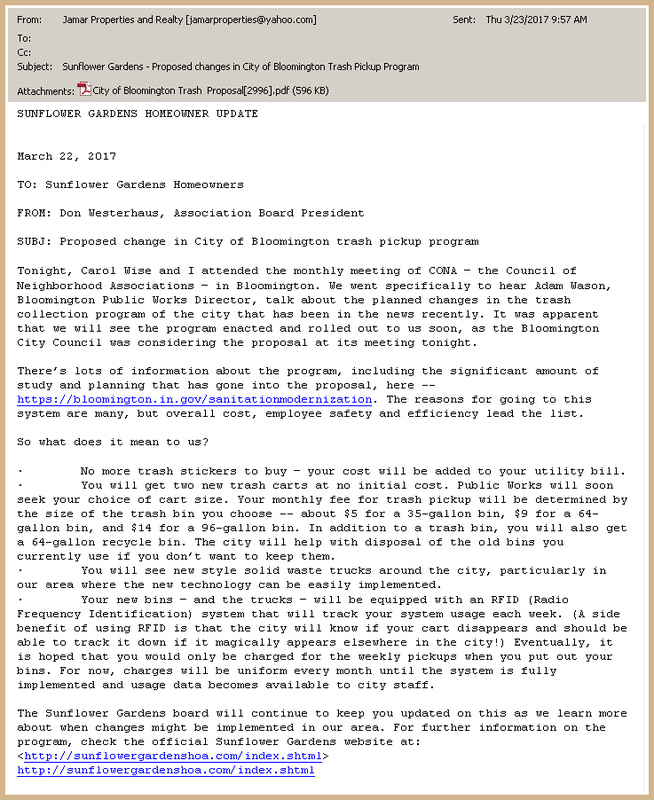 According to the email received today [click here to view] the changes are almost certain to occur. For more information on the proposed changes [click here] or visit the [City of Bloomington website].